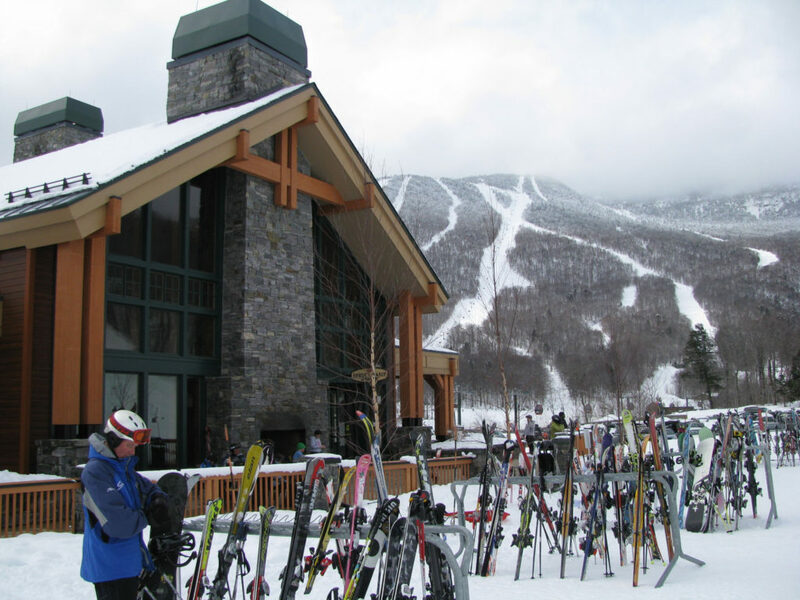 Stowe Mountain Lodge is the ultimate ski hotel, The Lodge at Spruce Peak is the centerpiece of Stowe’s mountain village, steeped in the Green Mountains of Vermont – the best skiing in the East. 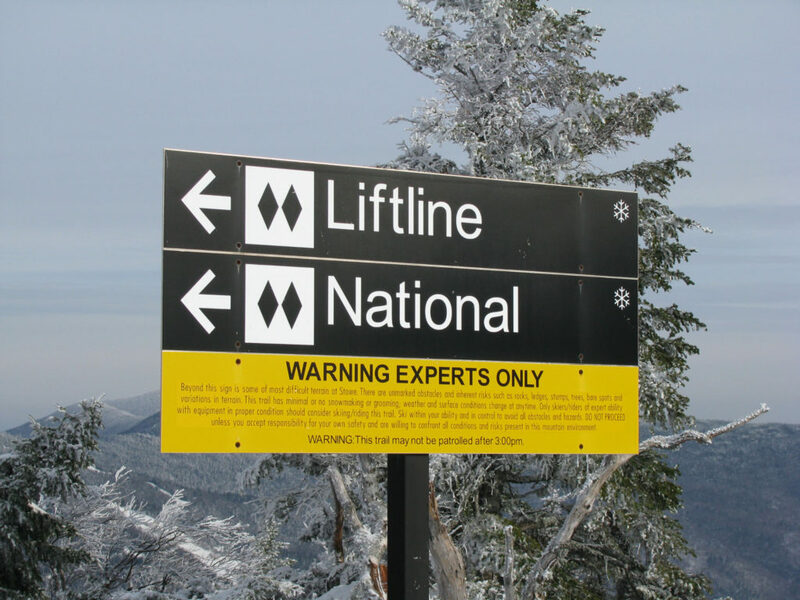 From the moment your arrive at this massive alpine lodge, valet park your car, bellmen whisk your skis and boots to the alpine concierge to be waxed, warmed and prepped for first tracks. 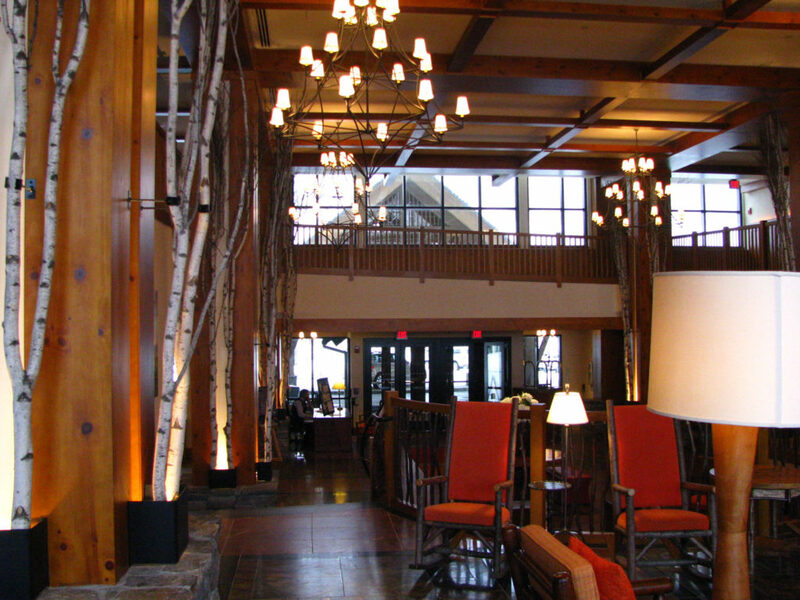 The Lodge’s lobby is richly inviting, with huge stone fireplaces, leather couches, copper tables, and shimmering birch trees, leading out to views of Stowe’s ski slopes at Spruce Peak. 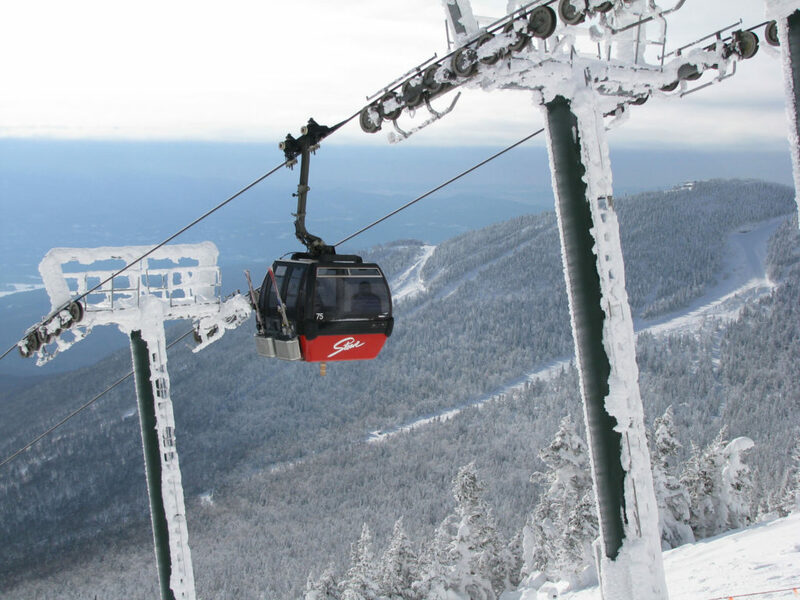 Our spacious suite had a huge deck with views of Stowe’s Mt Mansfield skiing, and a stylish Vermont slate bathroom, comfy furnishings and a cool bamboo headboard. 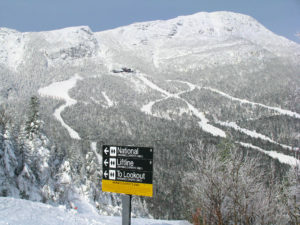 Staying on mountain is the ultimate luxury, when Stowe’s Four Runner Quad opens at 7:30am, super early but super easy when the ski valet hands you heated ski boots, and delivers your skis to the plaza (you do have to BYOB: buckle your own boots), for the 100 step walk to the Over Easy Gondola to Mt. 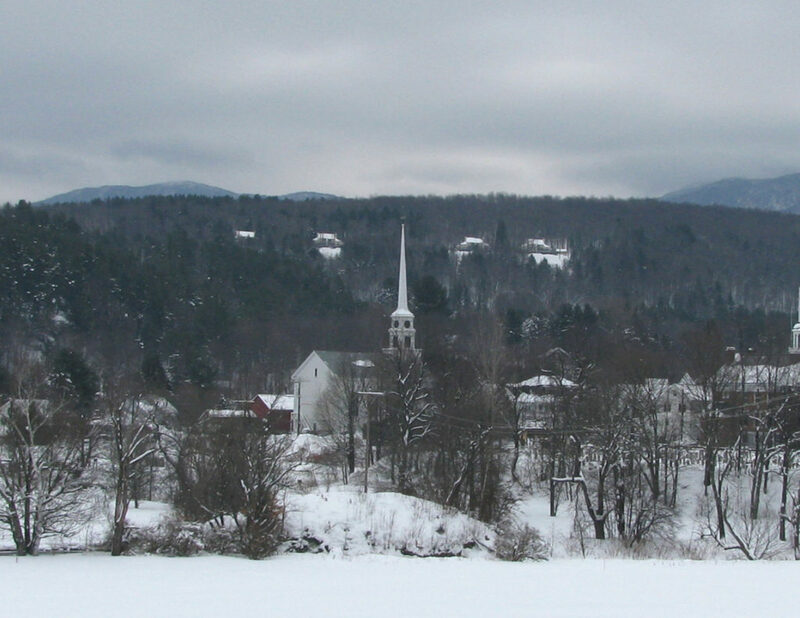 Mansfield, just beyond the beautiful centerpiece ice rink at Spruce Camp. 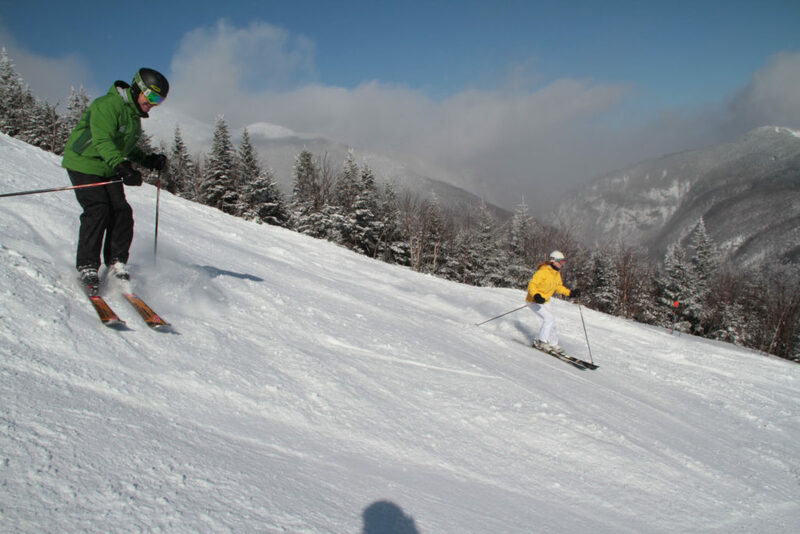 Stowe locals get their 10 by 10 (10 runs by 10am), you can too. 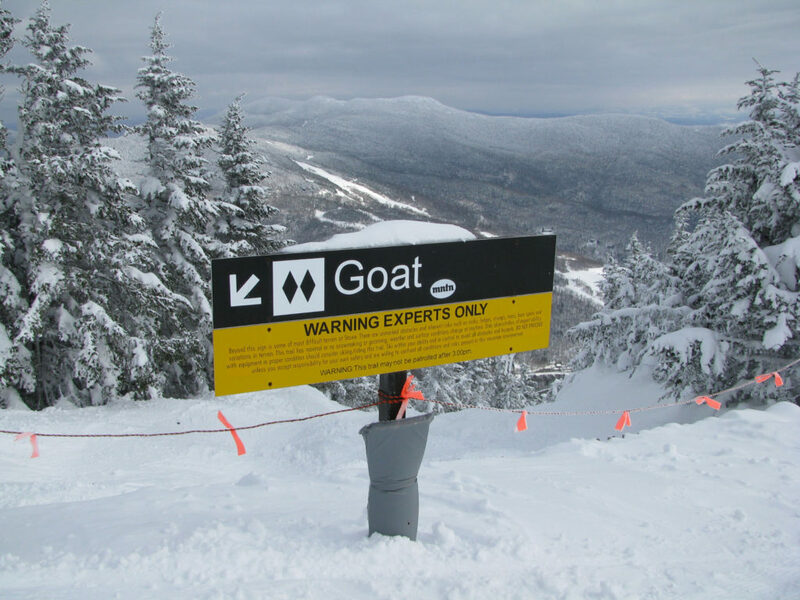 After skiing Stowe’s famed Front Four, National, Goat, Starr and Nose Dive, we moved to the gondola for more fresh corduroy on signature Stowe trails Gondolier and Perry Merrill and Chin Clip. 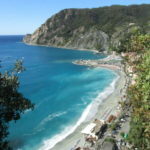 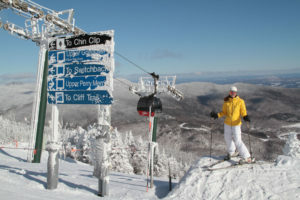 Lunch at Cliff House on the mountaintop of Mansfield via Gondola, for European style food, with fabulous views. 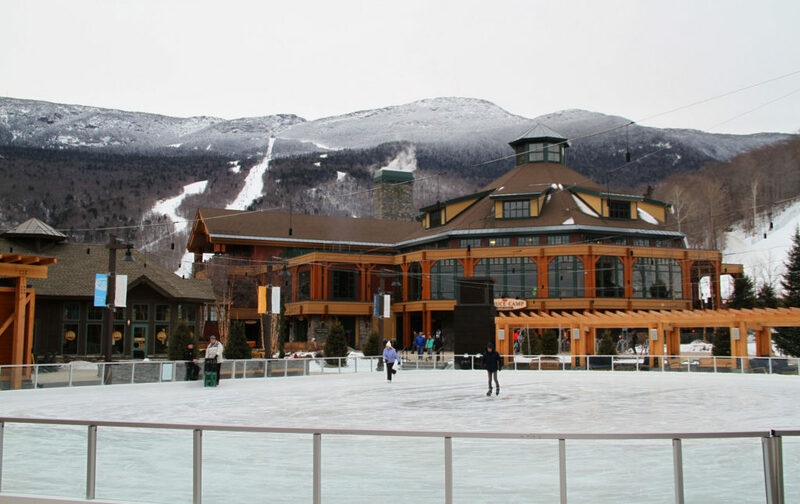 We recommend the Vermont cheese fondue. 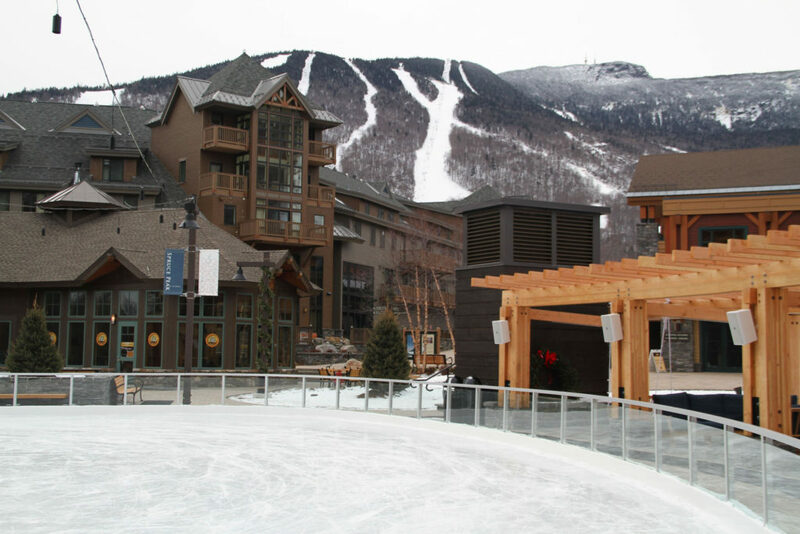 The Spa awaits, back at Stowe Mountain Lodge, where you can soak in the gorgeous outdoor pool and hot tubs – part of the three-story Spa and Wellness Center. 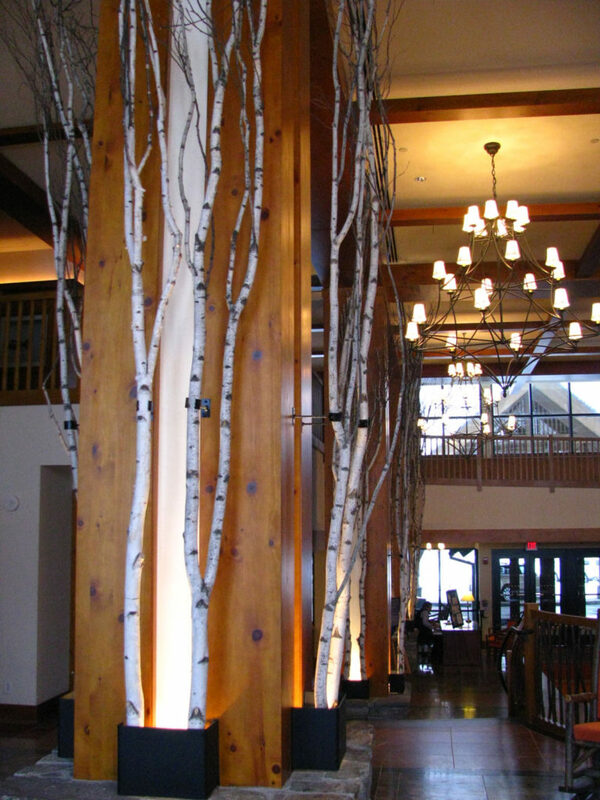 Have a massage or beauty treatment. 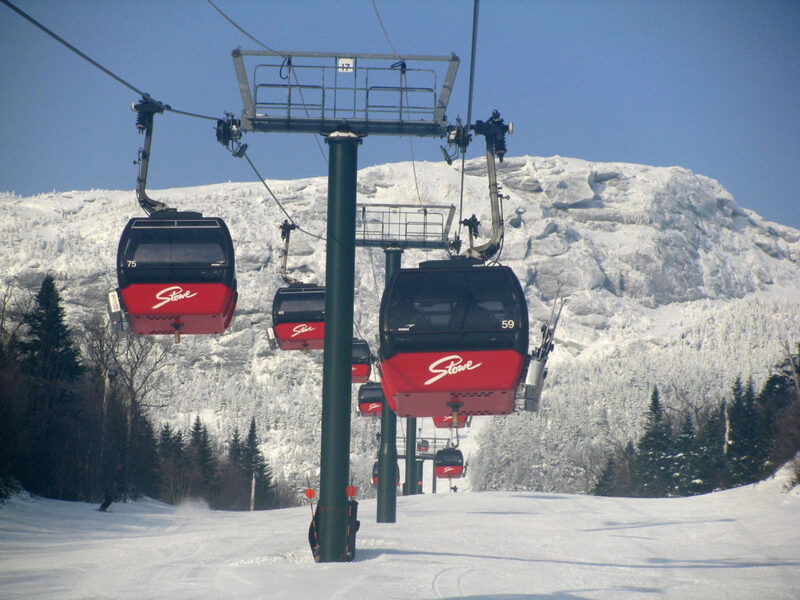 You really have no reason to leave Stowe’s base village, but if you wish to visit the quaint village of Stowe for retail therapy or restaurants along the famed Mountain Road, there’s a free shuttle or a Mercedes demo at your disposal. 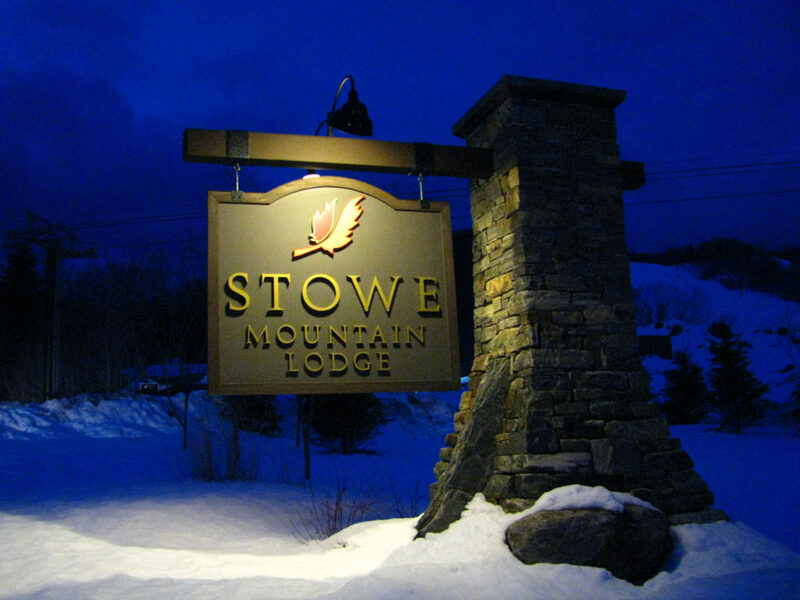 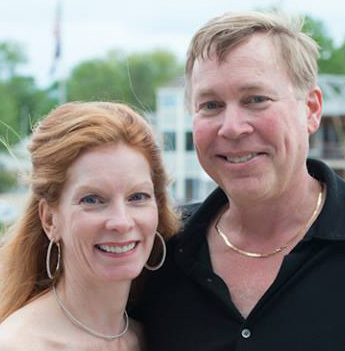 It’s easy to become accustomed to Stowe’s on mountain ski luxury, hard to leave though. 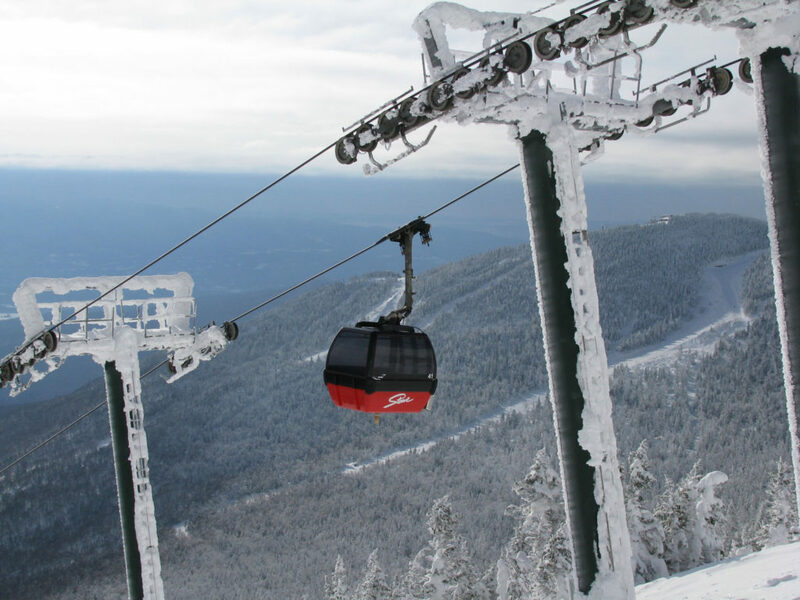 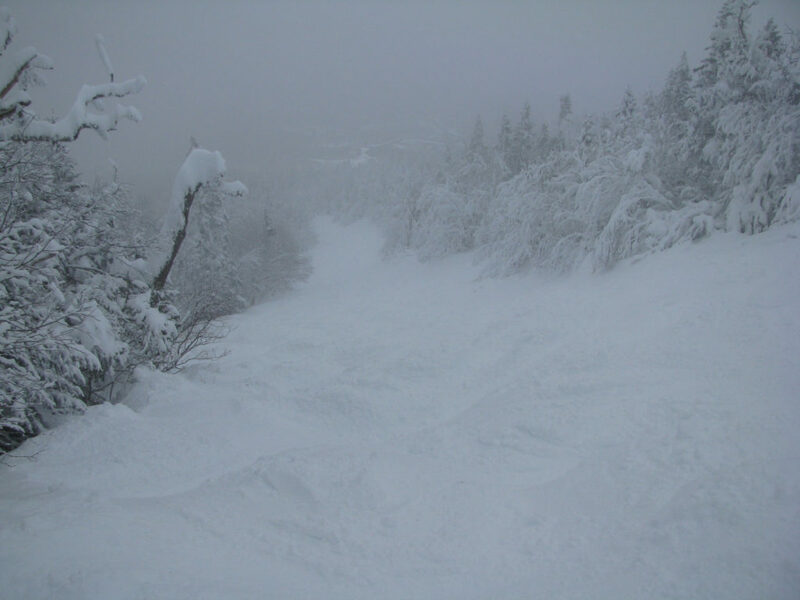 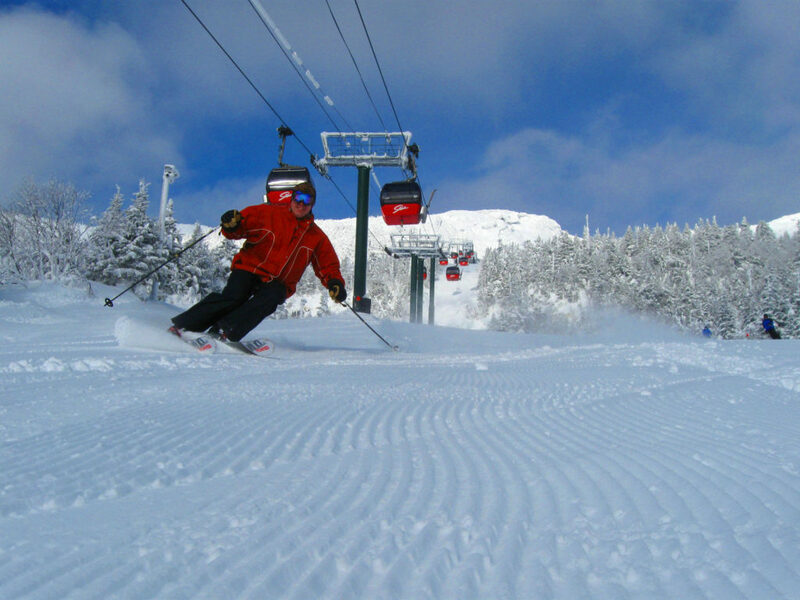 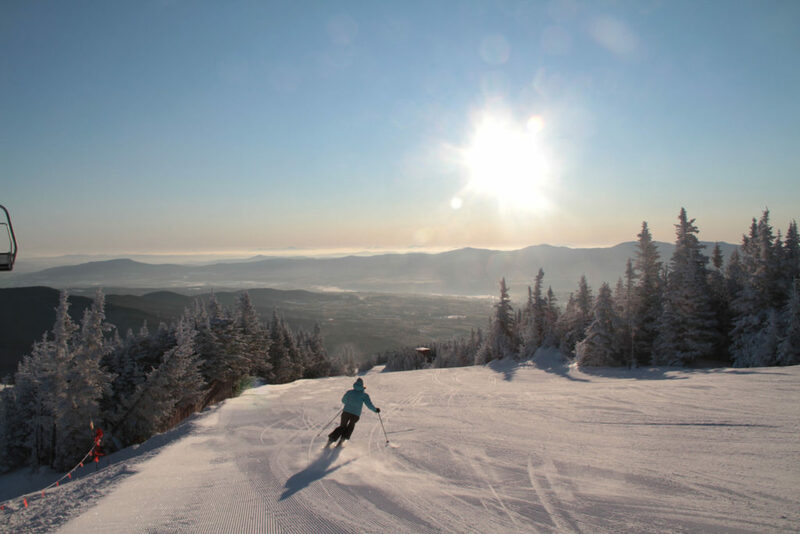 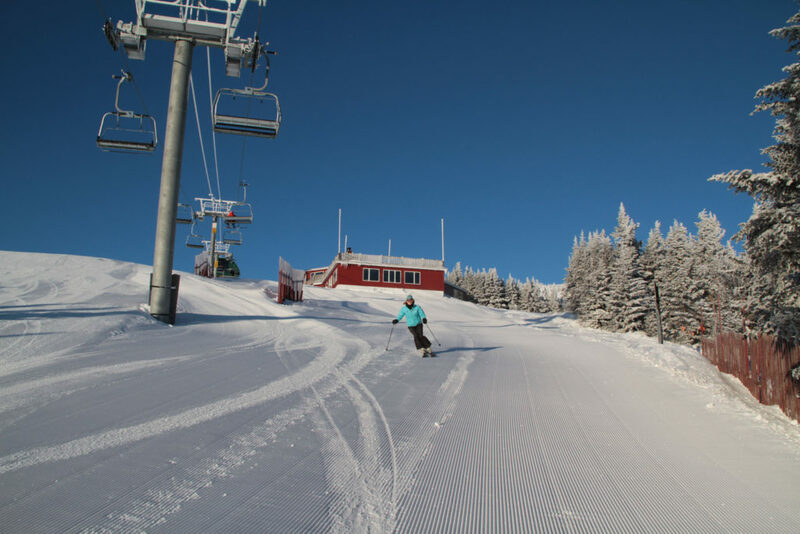 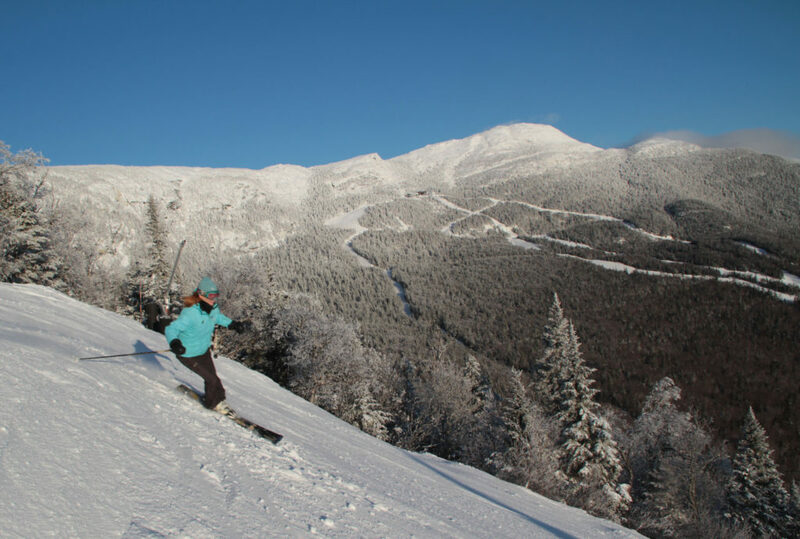 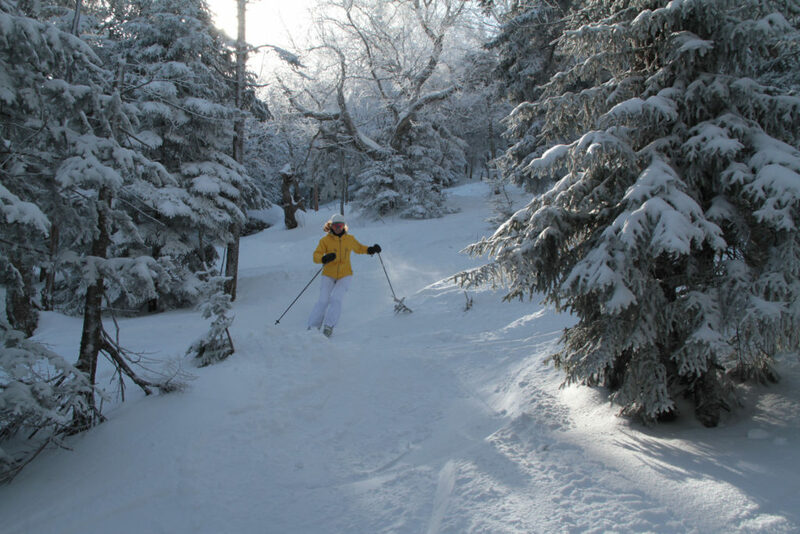 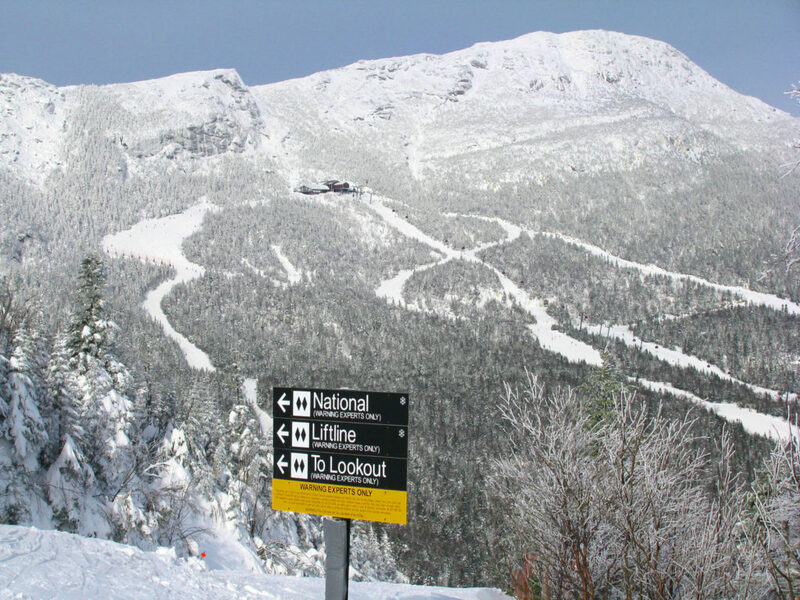 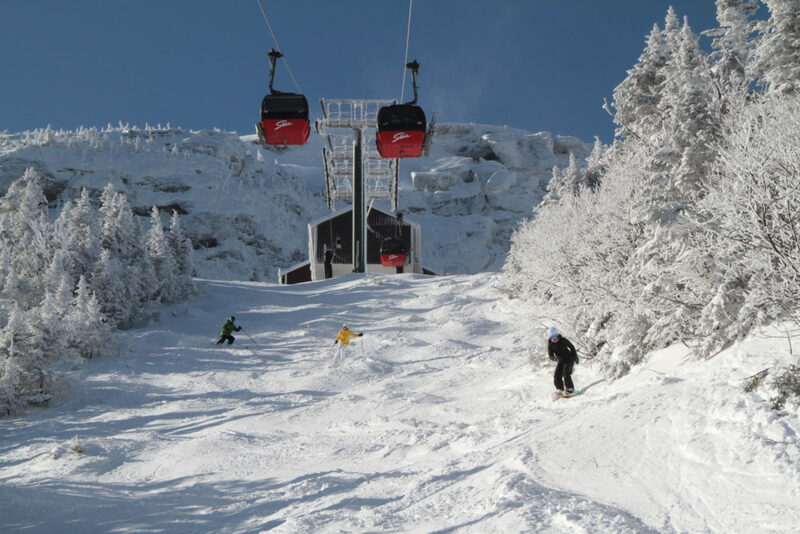 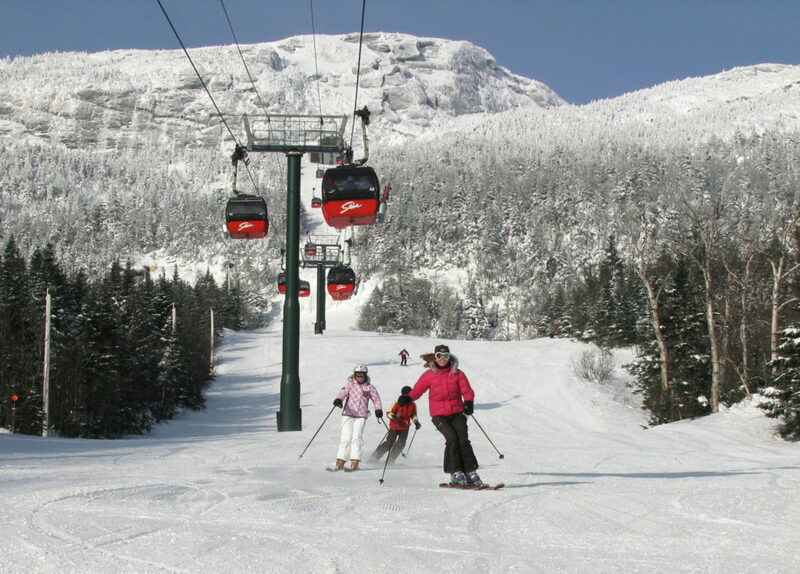 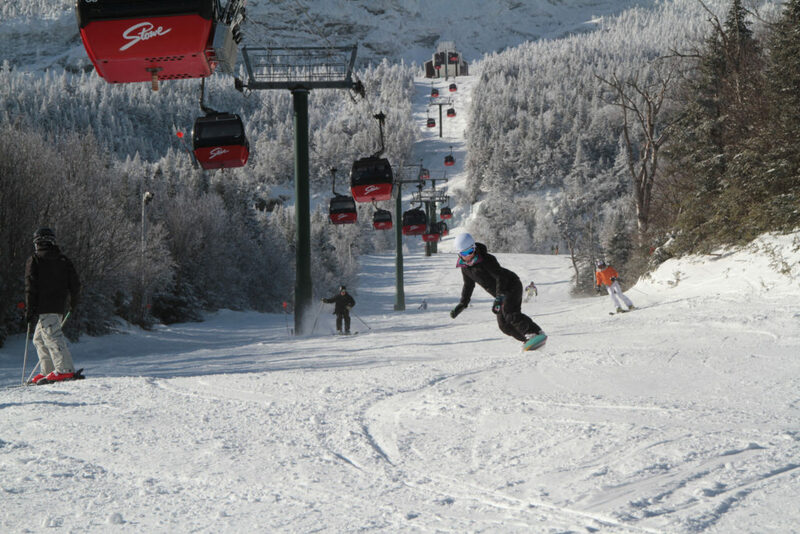 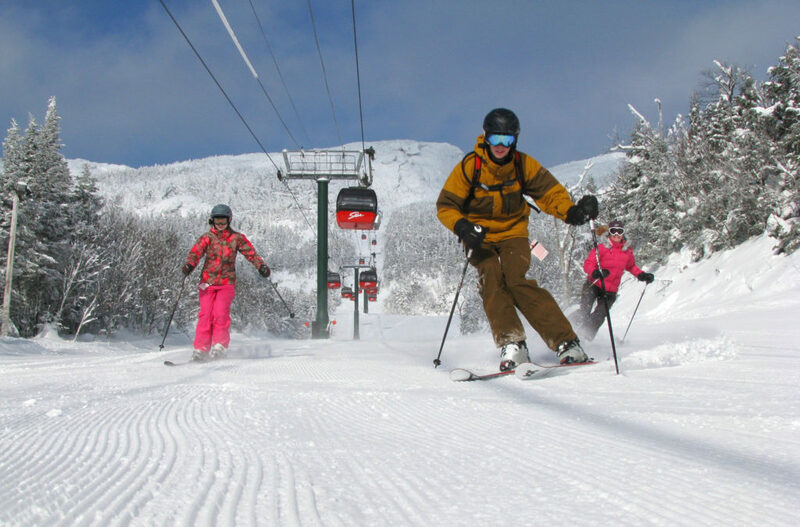 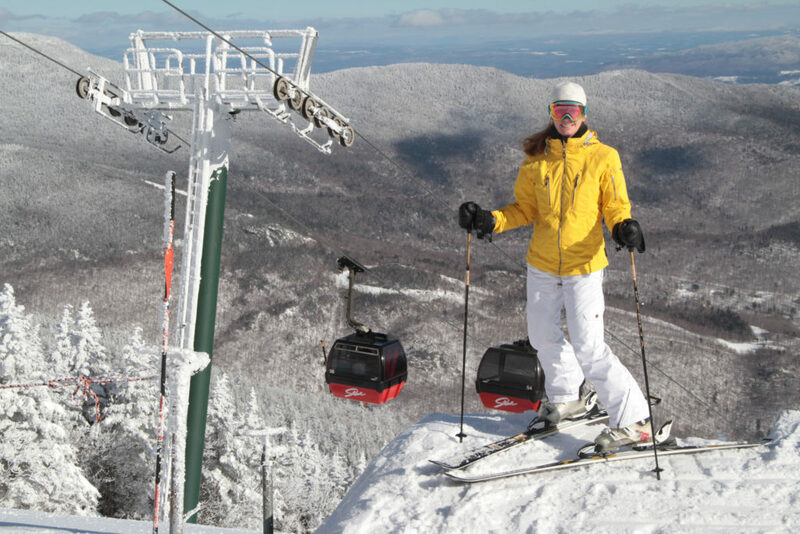 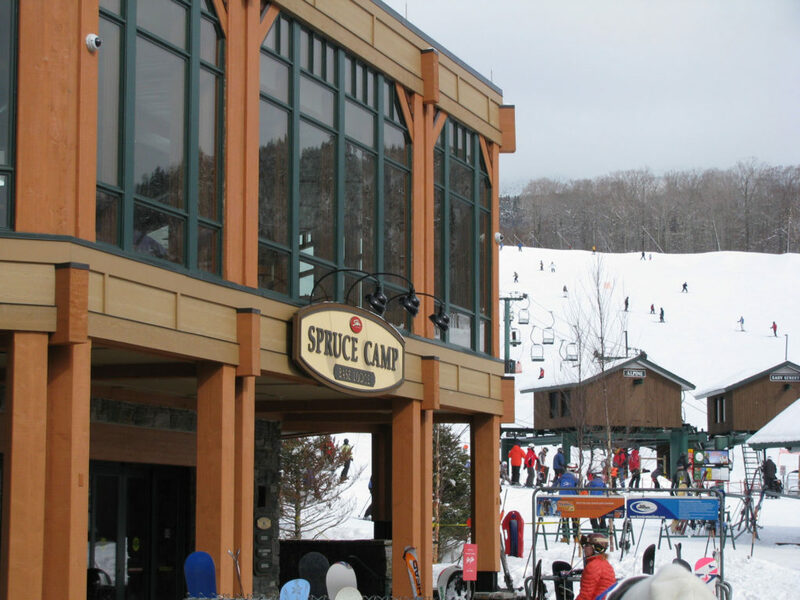 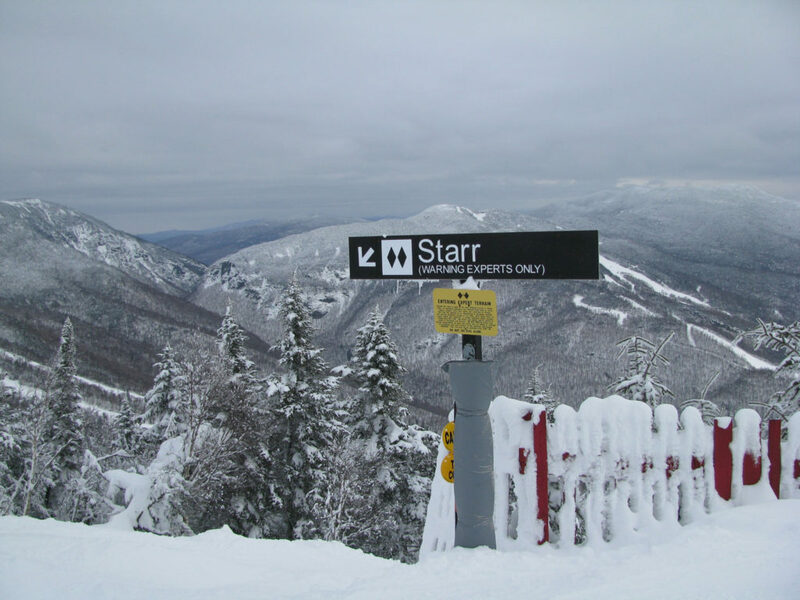 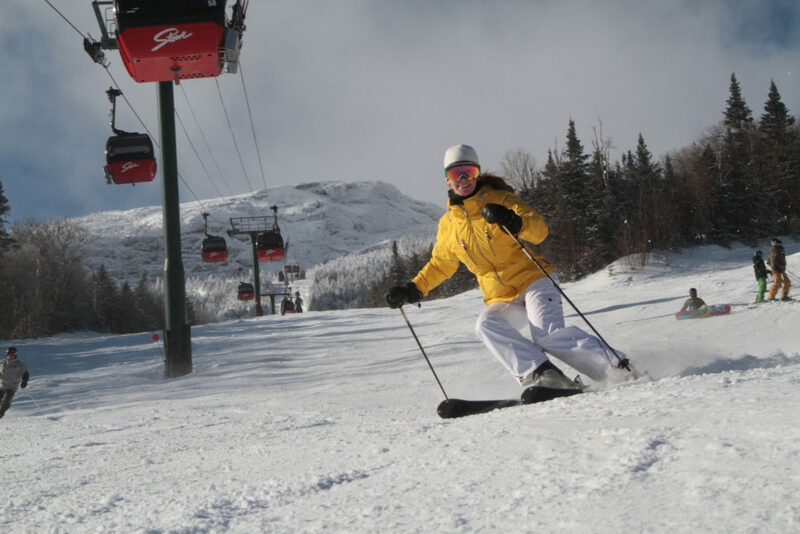 See our review of skiing Stowe Vermont. 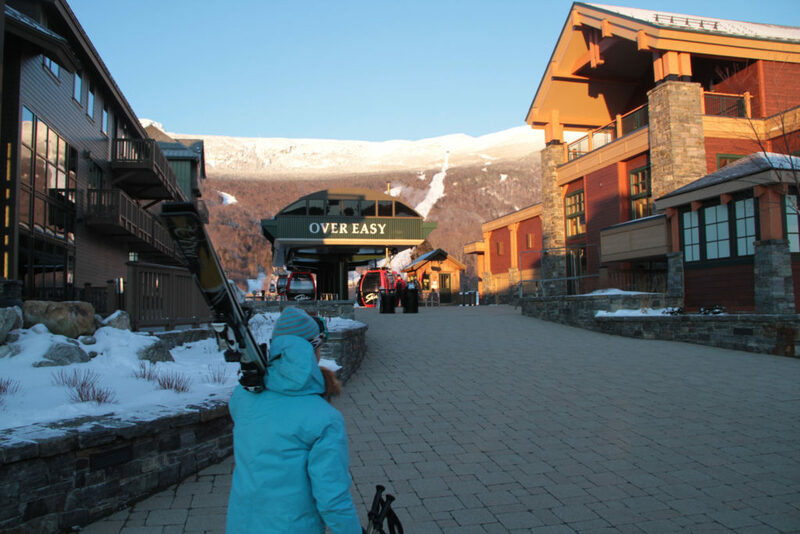 See more Top Ski Hotels in The East!